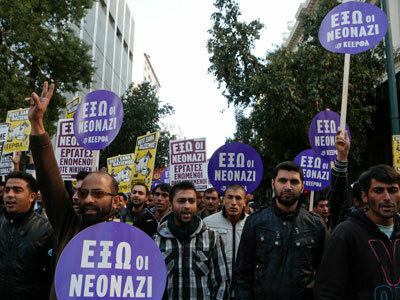 About 3,000 immigrants and human rights activists marched in Athens in an anti-racism rally, protesting the death of a 27-year-old Pakistani, who was stabbed in an alleged ‘racially-motivated’ attack earlier this week. Earlier on Saturday morning about 300 Pakistani immigrants gathered outside city hall bearing the coffin with the body of Pakistani immigrant Shehzad Luqman, who died Wednesday. The crime happened in Petralona, a neighborhood of Athens, when the man was riding his bicycle to work in the early hours, according to police. There were two attackers on a motorcycle – a 29-year-old firefighter and another 25-year-old man. Both were arrested for Luqman’s murder and later admitted they had stabbed the victim in the chest following a drunken argument. After discovering dozens of pamphlets of the ultra-nationalist Golden Dawn party in the home of one of the attackers, police started investigating whether the attack was racially-motivated. "Perhaps his murder will bring hope that these attacks will stop. We are protesting for the government to take measures to stop racist attacks," head of the Pakistani Community organization Javied Aslam told Reuters. 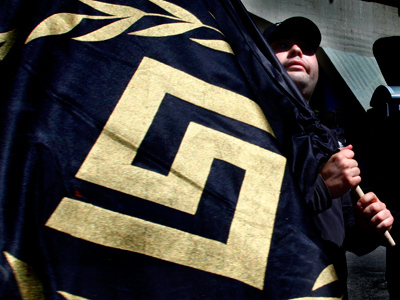 Scholars and media describe Golden Dawn as neo-Nazi and fascist, although the group rejects those labels. The party won 7 per cent of the vote in parliamentary elections in June 2012, gaining it 18 seats out of a total of 300. However the first electoral success for Golden Dawn was marred as 4 of its MPs were under investigation for violent assault and were stripped of their parliamentary immunity. Since entering the parliament, the popularity of the party has risen further. An opinion poll published by KAPA Research in October showed that support for the extremist political group had grown from 7.5 percent in June to 10.4 percent currently. The party has expressed overt hostility towards immigrants in Greece, championing slogans such as "clean up the stench," and "Greece for the Greeks." They pledged to eject all immigrants from Greece should they gain power, and want to militarize Greece’s borders with landmines and armed patrols. According to statistics collated by human rights groups, there were 87 racist attacks between January and September of 2012. The groups stressed the real figure was likely to be much higher since many attacks were not reported. 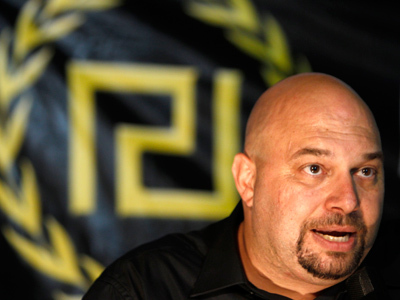 The Golden Dawn has been repeatedly implicated in racist violence. Greece is a gateway for many African and Asian migrants, who are trying to enter the European Union through the country’s porous seas and land borders. Such migrants face rising hostility from native Greeks, exacerbated by the country's worst economic downturn in six decades. According to the UN refugee agency, UNHCR, racist attacks have risen to alarming levels during the crisis. Rights groups say most victims are attacked in public spaces such as squares or on public transport, normally by groups of men dressed in black, usually with their faces covered. Amnesty International, the human rights protection group with over 3 million members and supporters around the world, said Luqman’s murder was not an isolated incident, but showed a “continuing failure” of the Greek authorities to take action to put an end to racist violence. “I have been the victim of a racist attack and when I tried to complain about it, I was arrested. Police are the same as Nazis,” one of the rally’s participants, 35-year-old Gildas Batola from Congo, told AFP at the demonstration.